Flanders pulls out all the stops to turn its traditional strengths into innovative assets for your company’s future. That’s the main message of the region’s new promotional film, launched by Flanders Investment & Trade (FIT) as part of the digital campaign #WeAreFlanders. The film premiers internationally via FIT’s social media accounts on LinkedIn, Facebook, Twitter and Instagram. What comes to mind when you think of Flanders? It could be the region's strong traditions, dedicated people and deep-rooted love for life. However, Flanders is also known for the strength of its R&D ecosystem, which offers the talent, knowhow, network and incentives to boost the innovation efforts of businesses in a wide range of industries. In just three minutes, the new film – called ‘Invest in Flanders’ – unravels the DNA of Flanders and its people to tell a compelling and emotional story. A story that serves as a metaphor for the importance of R&D and innovation in the region, and how this benefits companies around the globe. Foreign investors are a major driver of Flanders’ economy. The ‘Invest in Flanders’ film highlights the benefits of investing in our region in such a way that international audiences can easily discover what Flanders stands for. The film is also a great way for people from Flanders to showcase and share their enthusiasm about the region’s strong suits, something they often shy away from. The film was shot in the fall of 2017 in different locations across Flanders. Drones were used for some shots, but also play a role in the film itself. For the English voice-over, FIT relied on British actor and producer Don McCorkindale, who has worked with the BBC for years. The film was directed and written by Peter Neyt with the help of ILVO, Flanders’ institute for agriculture, fishery and food research. Production studio Wenneker.be was responsible for the film’s creation. Want to find out more about Flanders’ strengths and how the region is a perfect fit for innovative businesses? 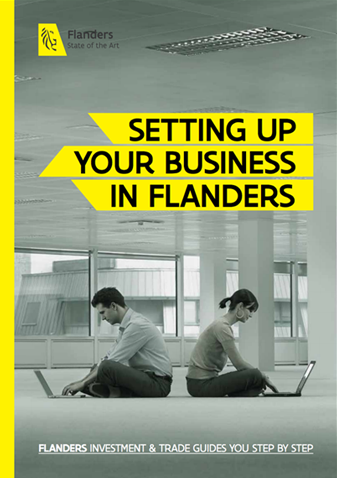 Click here to download our ebook ‘5 steps towards successful innovation in Flanders’.